There was moment this past March, over the late stages of the biggest race of her life, that Hannah Bennison reached what can only be described as a divine understanding with her sport. 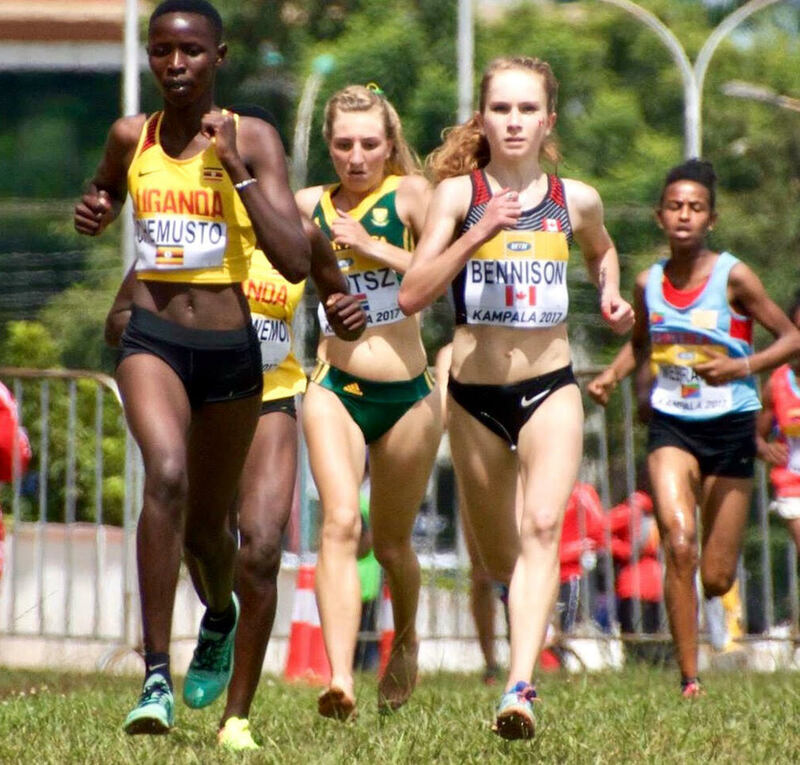 It came despite 30 degree celsius heat, despite the humidity which drenched her maple leaf singlet, and despite the stakes which accompanied the stretch-drive push to the finish line of the IAAF World Under-20 Cross-Country championships in Kampala, Uganda. “I think I heard that there were 40,000 people cheering,” said Bennison, 17, a senior from Vernon Secondary and one of Canada’s next great distance-running hopefuls. “I was in a zone and the cheering from the fans was just insane,” she continued. “It carried me through the last 800 metres. If I was anywhere else in the world, it would not have been the same experience. The best way to illustrate the recent fortunes of our protagonist is to imagine her standing alongside a life-size thermometre. Over the course of the last 12 months, its mercury has mirrored Bennison’s own ups-and-downs, from training through a cold-and-snowy winter in Vernon to her recent triumphant final dash through the heat of landlocked East Africa. She’s gone from shutting down her entire training regimen due to overuse injuries, to gaining her firmest grip yet on the mind-body connection so essential to maximizing her vast potential. And now, with high school graduation mere weeks away, and with an NCAA Div. 1 running career beckoning stateside at Rhode Island’s Providence College, it’s no stretch to say the past year has been the most impactful of her life. “I think prior to my injury (IT band strain), I had more success than I ever dreamed I’d have,” says Bennison, 17, who as a 10th grader in 2015 shattered the 31-year-old record in the senior girls 3,000-metres at the B.C. high school championships in a time of 9:33.44 and has won the last three B.C. high school cross-country championship titles. The dreaded illiotibial band injury suffered by Bennison came as a result, she says, of both overuse and improper form. That meant Bennison would miss last season’s B.C. high school meet, but the sacrifice and slow road back, this time with a more comprehensive base of training behind her, made the results spectacular. 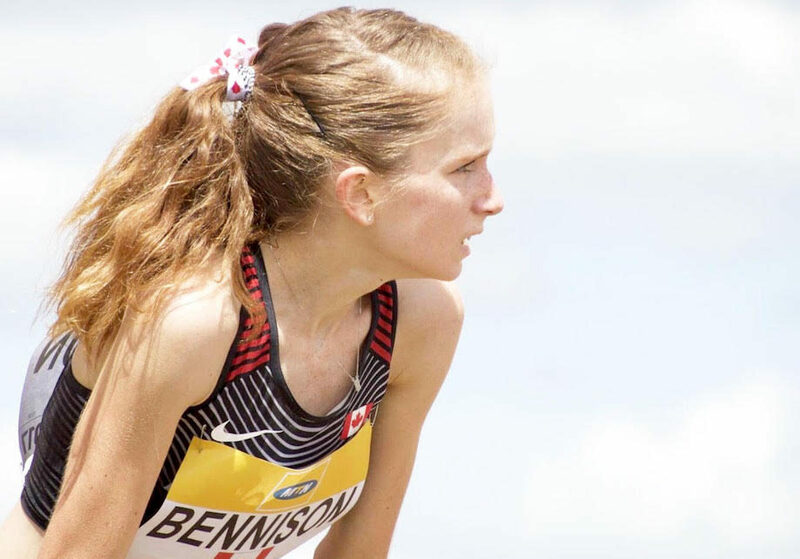 In November, Bennison won her third straight provincial high school cross-country title and followed it up with the Canadian junior women’s XC title. In March she placed second to Canadian teammate Brogan MacDougall at the NACAC (North and Central Americas, Caribbean) Pan Am championship meet in Florida, setting the stage for her Top 25 finish at the worlds as the month came to a close. It’s all part-and-parcel of the new Hannah, one who has learned that a cooling of heels means more heat on the tracks and trails when it really matters. The old saying says that if you can’t stand the heat, then stay out of the kitchen. This past winter, coming off her national junior cross-country title, Bennison set about preparing for the biggest March of her life by adopting that mantra with a bit of a twist. Athletics Canada had sent out its winter training protocol, and for Bennison, that meant preparing for the potential heat of Uganda with heat training. Except Vernon provided a near polar an opposite to what she would encounter in Kampala. Of course the real thing can never be fully replicated and upon the team’s arrival in Uganda, Bennison wondered if she would have any kick by race day. It’s a lot like how she feels now as she prepares to leave home for the U.S. east coast and her collegiate adventure on Rhode Island with Providence’s Friars. Bennison so clicked with the campus, the program and its head coach, Ray Treacy, that she cancelled all of her other visits. “Coach told me that they didn’t want me if I didn’t want to come,” says Bennison of Treacy, who has led the Friars’ cross-country teams the past 31 years and coaches among other elite runners, U.S. 5,000-metre record holder and Olympian Molly Huddle. Bennison knows that at some point she is going to be homesick for Vernon. Yet between all of the hot and cold of the past 12 months, the mercury in that figurative thermometre is holding steady at her most comfortable level ever.